ART OF ANARCHY, the mega group featuring legendary vocalist Scott Weiland, along with lead guitarist Ron “Bumblefoot” Thal (GUNS N’ ROSES), bassist John Moyer (DISTURBED) and introducing twin brothers Jon (guitar) and Vince Votta (drums), have debuted their new video, “Til The Dust Is Gone”, which you can check out right HERE. The single will be available on iTunes on April 21st. 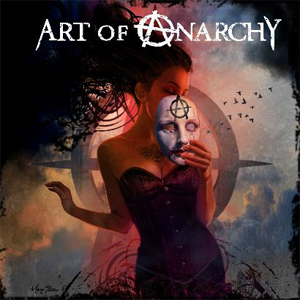 ART OF ANARCHY's debut self-titled album will be in stores and online June 8th via Century Media imprint, Another Century. The band started out of an 18-year friendship between Bumblefoot and the Votta brothers, dating back to the local New York music scene. Jon Votta approached Bumblefoot with the idea of putting together a unique new rock band that would have people talking. They knew Weiland would be the ideal singer to handle the band’s musical diversity. Once Weiland was on-board, the band was completed by the aggressive, precise, melodic bass of career-rocker John Moyer. ART OF ANARCHY has emerged as a band willing to eradicate musical borders in pursuit of something brilliant. For these legendary members, it’s all about songwriting and musicianship, which the band proudly displays on its self-titled debut album. The band also sees Weiland returning to his hard rock roots with a harder-edged sound than any of his previous efforts. Bumblefoot shines not only as the band’s co-guitarist, but also as the producer and engineer on the album. His world-class guitar playing ranks him as one of rock’s most innovative guitarists. John Moyer, self-proclaimed hitman from Texas, brings a punchy bottom end that rounds out the sound of AOA. His in the pocket style can be heard throughout the whole album. Jon Votta, the grand architect behind ART OF ANARCHY, co-wrote the album and shares lead responsibilities with Bumblefoot. According to Votta, “This is the record I always dreamed of making since I started playing guitar”. Vince Votta came up with the band name based upon these principles: it had to be extreme, uncompromising, and make a bold statement- much like his drum playing. 2015 will be a big year for ART OF ANARCHY. Rock was never dead - just dormant - and ART OF ANARCHY is planning to wake it up. They’ll break all the rules and leave you wanting more Anarchy!